A gas leak is a serious issue that needs fixing as soon as you sense that there is a problem. A gas leak is a situation in which gas produced by the appliances in your home can leak out and become present in your property. Although the gases that might leak from your appliances are not poisonous in all cases, they have the potential to cause severe damage to your body as well as put you in dangerous situations. The gas that could be present in your home is extremely flammable, meaning that naked flames, sparks or even the simple use of a mobile phone are enough to trigger a large-scale explosion, which is why it’s crucial that you notify someone if you think that there is a gas leak in your property. So you know what a gas leak is, but how can you detect one in your property? We’ve listed some of the giveaway signs that there could be a gas leak in your home, read through and see if any of these apply to you. If they do, then we highly recommend contacting a gas safe engineer Milton Keynes as soon as possible. The most obvious sign that there is gas in your home is the scent. 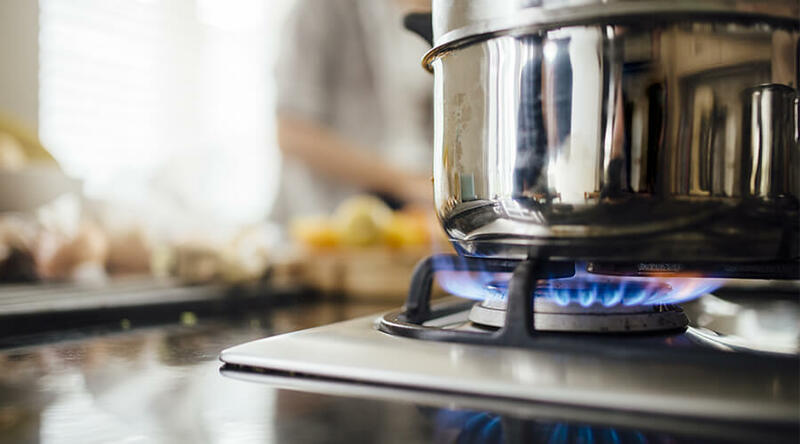 If you can smell gas when not using your gas hob or when you’re relaxing at home, then there most likely is a gas leak somewhere in your property. One of the most important things to do is not panic; if you can smell gas, it is not poisonous or harmful to inhale unless over an extended period of time – but this does not mean you should leave it as it can cause danger to you. If you think that you can smell gas inside your property, call the Gas Emergency Service on 0800 111 999 so that they can advise you on the next steps to take dependant on your situation. If you can smell gas open all of the doors and windows in your property to try and release as much gas from your property as possible. Do not smoke, light candles or have any naked flames in your property as it could cause an explosion. Don’t use the lights in your home or any electrical appliances as even something as small as that could trigger and spark and cause an explosion. On your gas hob, you want a blue flame not a yellow; a yellow flame can indicate that there is a presence of an even more harmful gas such as Carbon Monoxide. Read our ultimate guide on Carbon Monoxide to find out what to do if you think there’s Carbon Monoxide in your property. Your appliances can be a massive giveaway that there is a gas leak in your property, look out for sooty marks on your household appliances or even burns that could indicate that your appliances could be reacting to gas in your property. The main giveaway of carbon monoxide in your home is an increased amount of condensation on windowsills or windows. Although condensation is regular in places like your kitchen during poor weather, but be safe, not sorry and have boiler maintenance Bedford carried out on your property to double check. The leading cause of a gas leak is a faulty boiler, either outdated or fitted by an improper gas engineer. Always make sure when choosing someone to carry out such essential tasks on your property that they are adequately accredited and have the proper knowledge to carry out the job safely and effectively. As well as shoddy work, another common cause of gas leaks is poor boiler maintenance and genuine faulty boilers. Over time boilers become defective, which is why you should have regular maintenance to keep them in shape and ensure that it doesn’t break as you could need an entire new boiler. If you have just moved properties, or you live in a dated property you should be extra cautious. A lot of the boilers in newer properties are more advanced and have higher safety features than a boiler from 30 years ago, so be sure to have a gas safe engineer assess your boiler if you have any concerns or doubts. You should only ever turn off the gas in your property if you are recommended to do so by a professional, as gas is so flammable that even something as sudden as this could cause an explosion if in a cellar or basement location. If your gas emergency control valve is in a safe location, it’s usually next to the meter and makes it a great deal easier to turn off. In newer properties the gas control valve can typically be located outside of your home in a meter box, if you can’t find it in any of these places then check under any stairs, in the garage or under the sink. In order to turn off your gas supply, twist the handle a quarter of the way so that it reaches a 90-degree angle fro the upright gas pipe. What If You Don’t Fix The Gas Leak In Your Home? Although a gas leak can only poison your body if it’s a Carbon Monoxide leak, it’s still not good for your health to be breathing in any gases all day every day. However, you should have a gas leak sorted straight away as it can make living in your property extremely dangerous as it’s incredibly easy to cause explosions and fires with large amounts of gas present in your property. If the gas does not burn out correctly, it can turn into carbon monoxide which is toxic to the human body. In the UK hundreds of surveys have found that not enough homeowners have their boilers regularly serviced meaning that they are at high risk of a gas leak or ca complete boiler breakdown which is not only expensive, but dangerous. Be sure to have yearly boiler check-ups from plumbers Leighton Buzzard to save money on your energy bills and to keep you and your family safe.